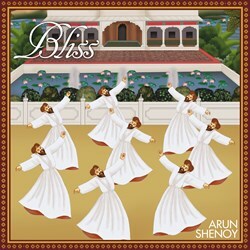 Grammy-nominee Arun Shenoy’s epic new single “Bliss” was chosen for a coveted First Look pre-release feature on Grammy.com; in Shenoy's signature style, the 8-minute-long single is accompanied by an innovative animated video and upscale packaging. The song is available to fans in both physical and digital formats. I’m incredibly honored that this very personal project of mine was chosen for First Look by The Recording Academy. “I’m incredibly honored that this very personal project of mine was chosen for First Look by The Recording Academy on Grammy.com,” said Shenoy. "Bliss" is releasing worldwide today as a single in both digital and physical formats, exactly one year to the day from Shenoy’s previous album, the Spanish Flamenco-inspired Rumbadoodle, which earned him a coveted GRAMMY® nomination at the 55th Annual GRAMMY® Awards for Best Pop Instrumental Album alongside music legends Chris Botti, Larry Carlton, Dave Koz and Gerald Albright & Norman Brown. In production for over 9 months, "Bliss" was recorded live across the world from India, Singapore and the Philippines, to the UK and the US. With this project, Shenoy, who was born in India but lives in Singapore, explores the rich lexicon of Indian Classical instrumentation, in what he says is a long journey back to his own cultural roots. Conceptually steeped in ancient Hindu scriptures and mythology, the concept behind the music is also interpreted visually, creating an audio-visual experience of music, animation, artwork and packaging. Shenoy is joined on this project by acclaimed GRAMMY®-nominated composer and arranger Don Hart, who orchestrated the live string section in Nashville. Also featuring prominently is Ravichandra Kulur, one of the leading flautists in India, Ramil Duke Purisima, Jon Sterckx, Owen Gurry and Balachandra Prabhu, among other artists. The “Bliss” storyboard is presented inside the single’s 3-panel digipak, and brought to life in an animated film created by Actuality Films in New York. 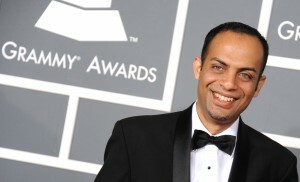 The video was conceptualized by art directors Roshni Mohapatra and Robert Capria to follow the ebb and flow of Shenoy's music. Mohapatra highlights that the video is meant to be more spiritual than religious. Deeply derived from Hindu philosophy, the story explores diverse motifs which have been represented in a scrolling miniature painting style. It is about the quest of learning, life, love, and self realization which man has towards reaching the goal of being a superior human being, and the ultimate point of achieving spiritual ecstasy and hence, bliss. The intricate flute work of master Indian flautist Ravichandra Kulur is an integral part of the music and hence the protagonist in the story is based on the Hindu God, Lord Krishna, the eighth avatar of Vishnu, who plays the flute and is said to be the embodiment of love and divine joy. The music, structured into 4 parts has been arranged by Shenoy to take the listener on an epic journey, leading to a trance inducing outro sequence, which has been brought to life visually via an artistic interpretation of the Sema dance, the sacred Sufi ritual of meditative spinning, better known as the Whirling Dervishes of Rumi. “In other words, it’s a really fun trip,” says Shenoy with a smile. “Bliss” will be serviced to commercial radio by Jerome Promotions in September; Jerome is also working "Genesis", a single composed and arranged by Shenoy for indie producer Matthew Shell's new album Victorious; “Genesis” is currently #143 on FMQB’s AC Top 200 Chart. Narked Records is distributed to mainstream retail in North America by CPI Distribution. Proceeds from albums sold via the artist’s website go to MILAAP.org, an organization that empowers India's working poor. 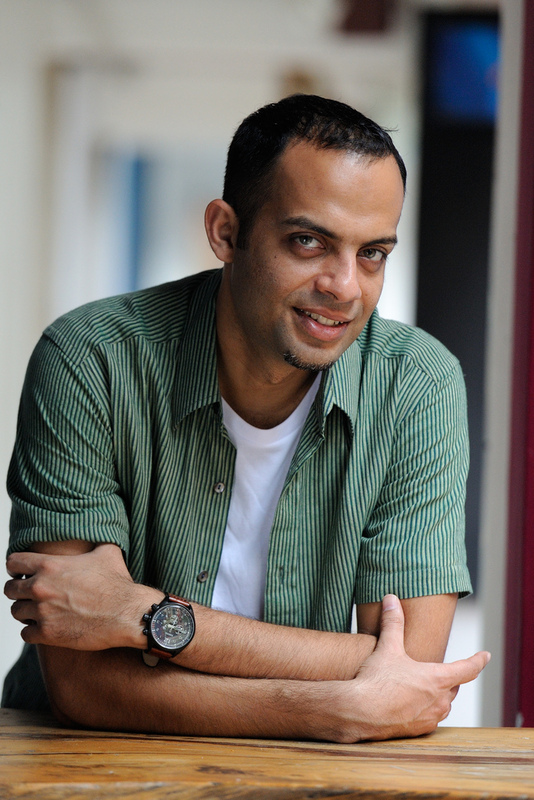 Arun Shenoy is a BMI artist. For information or media requests, please contact BethHilton(at)theBcompany(dot)com.